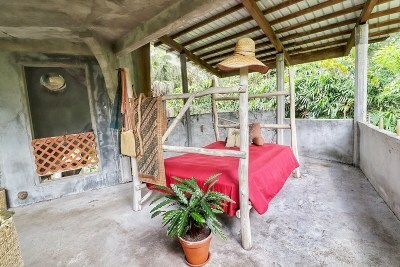 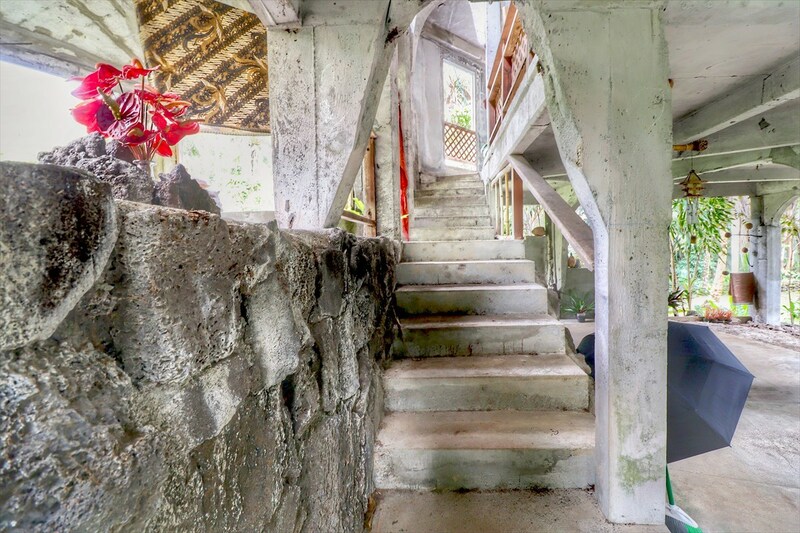 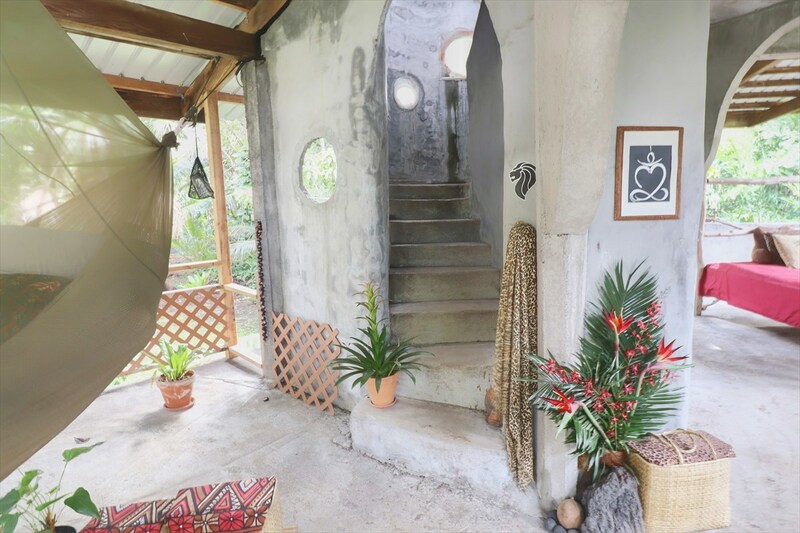 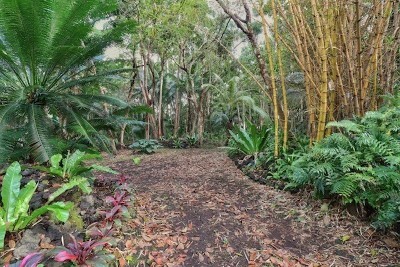 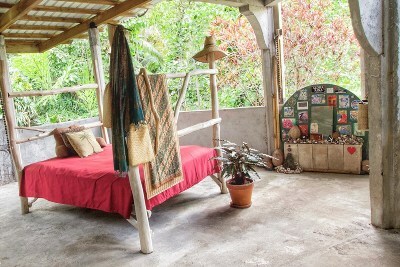 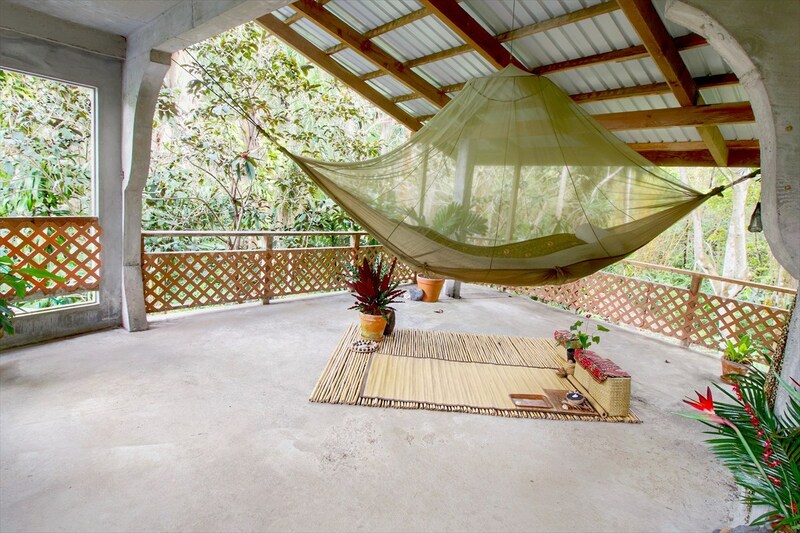 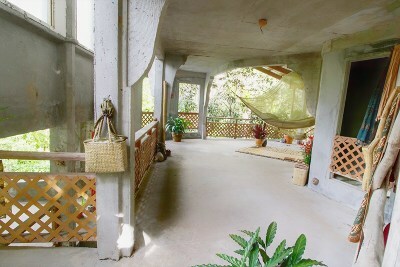 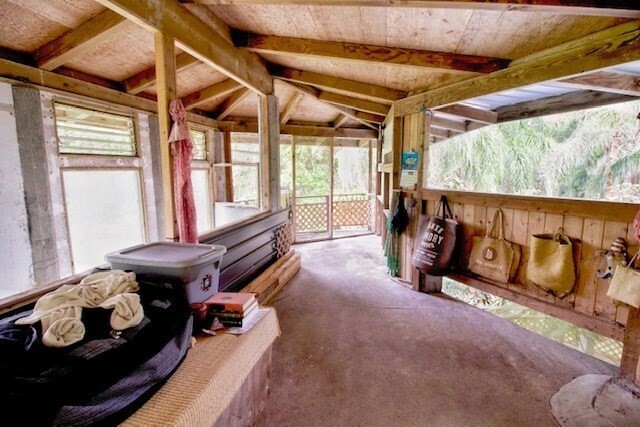 On 4 acres of green and lush jungle stands a unique home right across the road from the beautiful ocean. 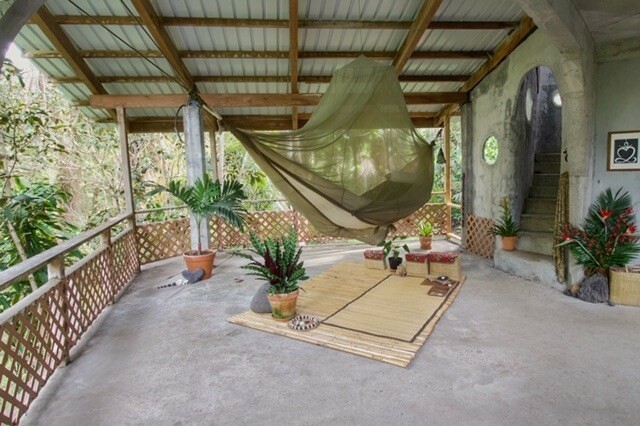 This creative structure is known by the community as the Monkey Temple. With the right imagination you can turn this into your own private oasis. 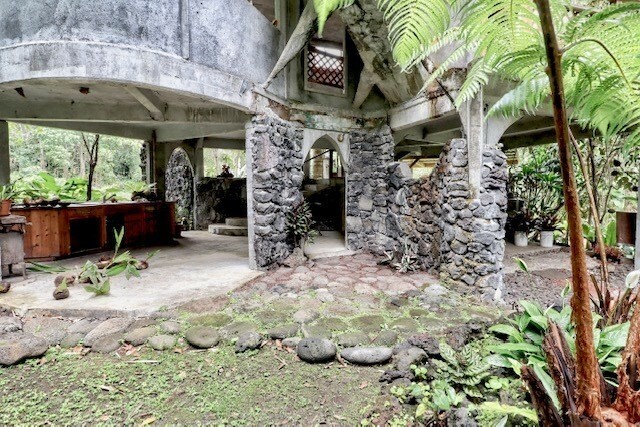 The history behind this home adds a story behind its uniqueness. 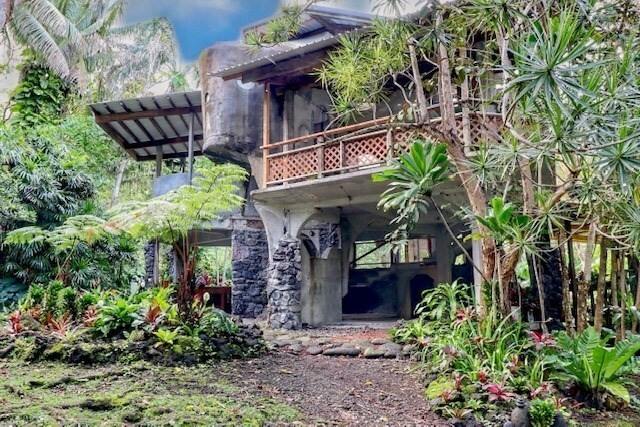 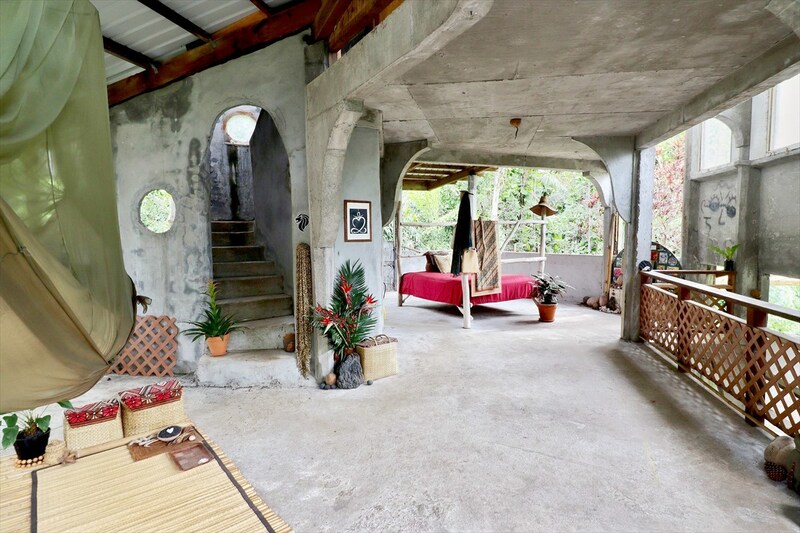 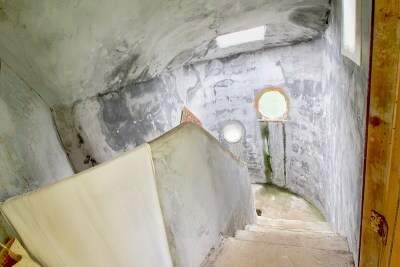 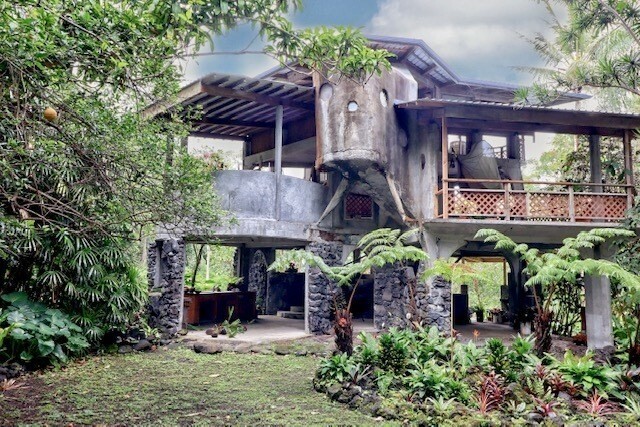 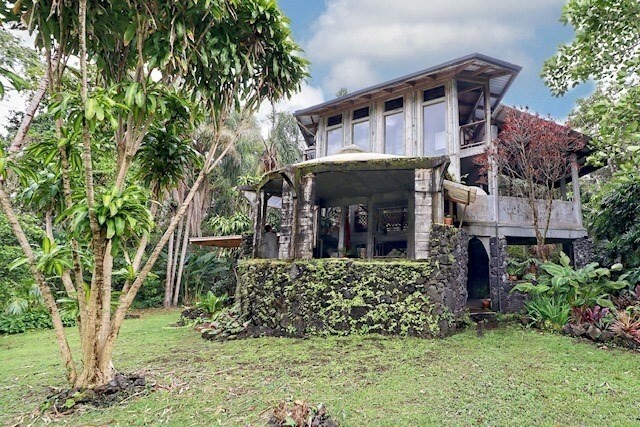 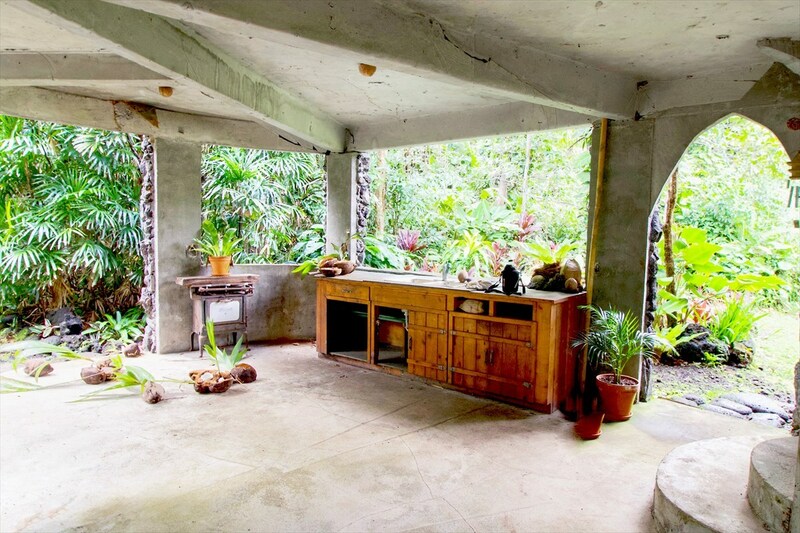 About 35 years ago, local artist Steve Dragon had an imagination to create a one-of-a kind Hawaii residence and make it his own. 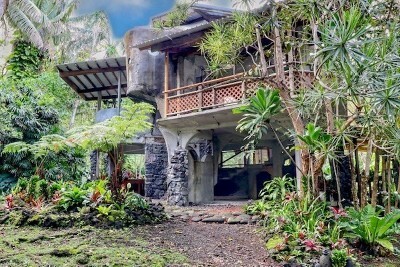 Under Dragon's supervision, he and his friends masterminded, designed and began construction on a project that would eventually become the distinctive The Monkey Temple. 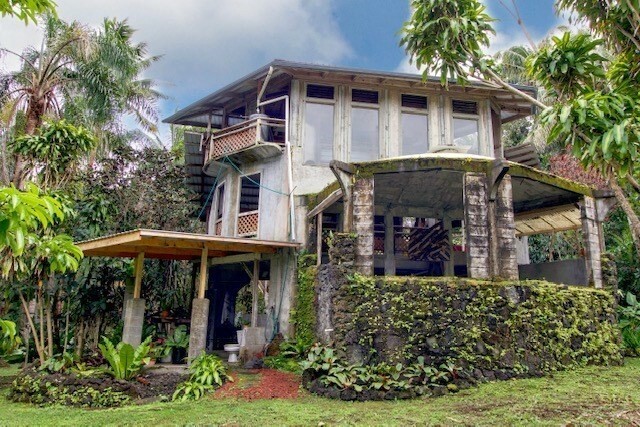 With 2, 000+ square feet of living space, on post and pier and 3 stories high, the home brings in lots of sunlight and ocean breeze from the large open windows creating a feeling that you are living in the exterior's natural tropical landscape. 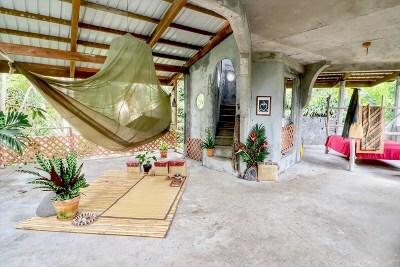 Dragon was not able to finish the project, but created a foundation for someone to add their own personal details to make the home complete. 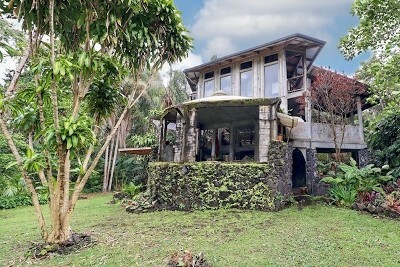 Landscaping includes rock walls and a winding driveway through greenery with peek-a-boo ocean views. 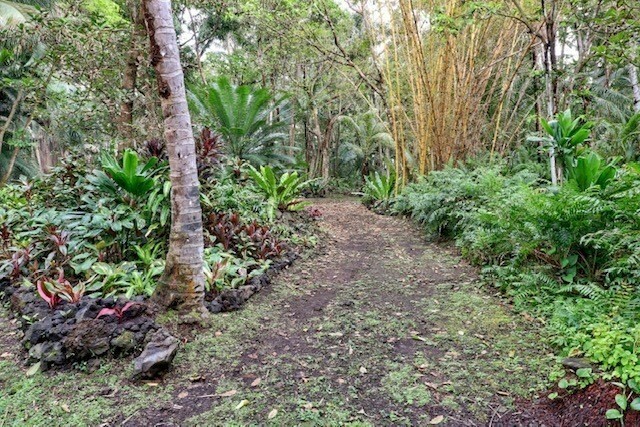 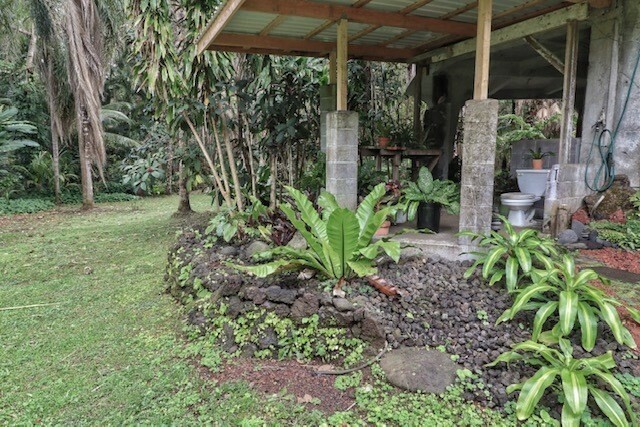 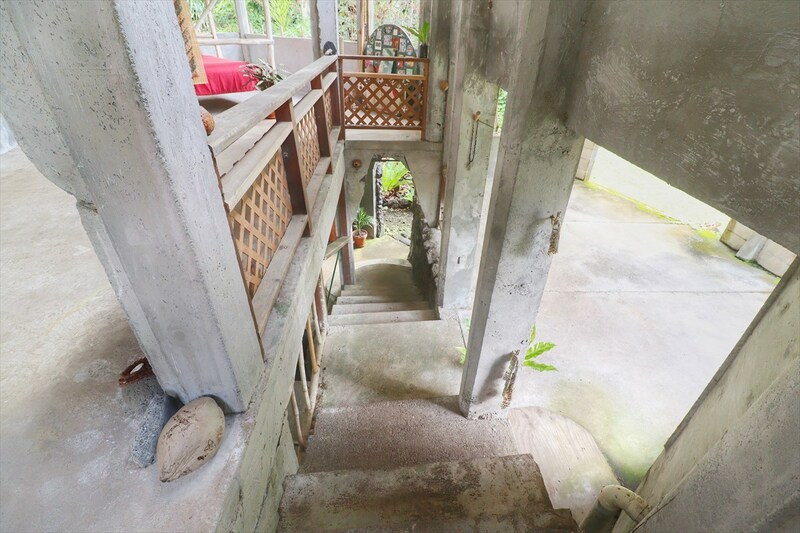 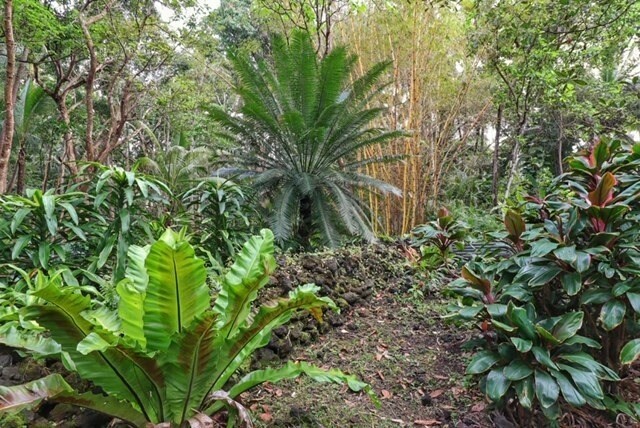 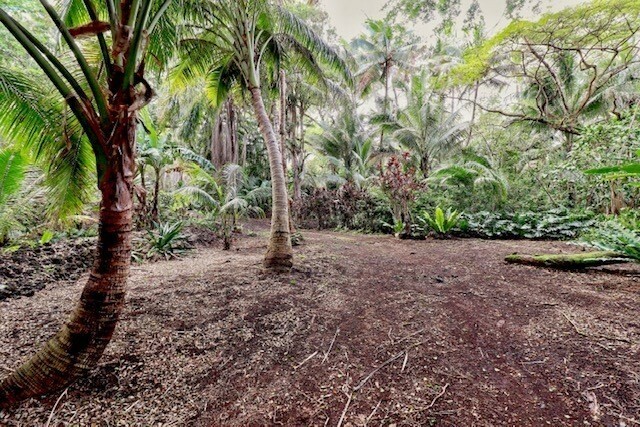 Mature coconut palms, avocado trees, bananas, papaya, citrus and noni surround the home. 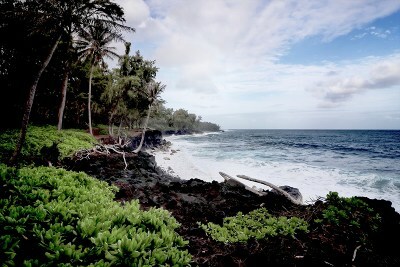 Hear the ocean waves from the property and live your Hawaii dream.